This beetroot samosa recipe by Simon Hulstone makes for a light and satisfying canapé. 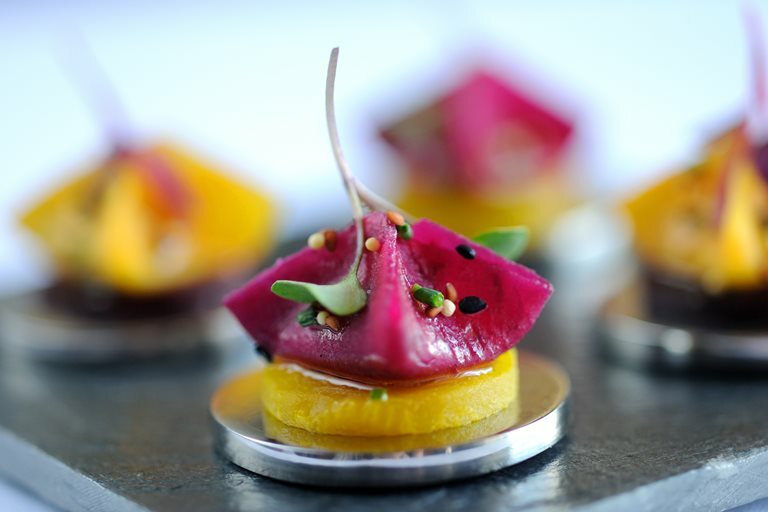 Beetroot wrappers are filled with rich goat's curd and served on a disc of beetroot. The visual impact alone will wow your guests.